Gunmen killed a colonel in Yemen’s second city Aden on Friday, a day after the temporary capital’s police chief escaped a suicide bombing. The attack is the latest targeting senior officials in Aden, the base of the Saudi-backed government. Many of the attacks have been claimed by Al-Qaeda or ISIS. On Thursday, a suicide bomber blew up a vehicle packed with explosives when he was stopped at a checkpoint on the perimeter of the compound around police chief General Shallal Shayae’s house. Shayae was unharmed in the attack but a security official said one guard was wounded. 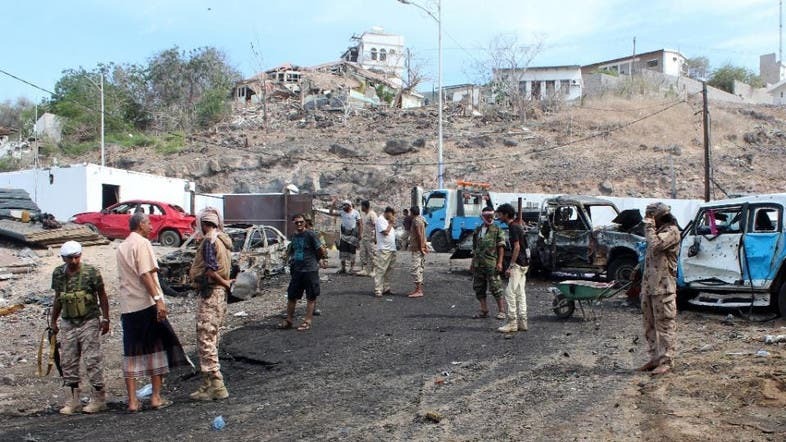 There was no immediate claim of responsibility for the attacks that come after loyalist forces backed by a Saudi-led military coalition seized the key southeastern port city of Mukalla and nearby airport and oil facilities from Al-Qaeda, ending a year-long occupation by the militants. Government forces also recaptured Huta, another provincial capital further west, this month. Military sources in Huta told AFP that authorities were on Friday defusing some 250 landmines and 60 explosive devices militants had planted near government buildings before fleeing the city. Meanwhile in Zinjibar, capital of the southern Abyan province, hundreds of residents took to the streets after Friday prayers demanding Al-Qaeda militants controlling their city to leave, witnesses said. “No more Qaeda, we want to live safely,” they chanted according to witnesses.